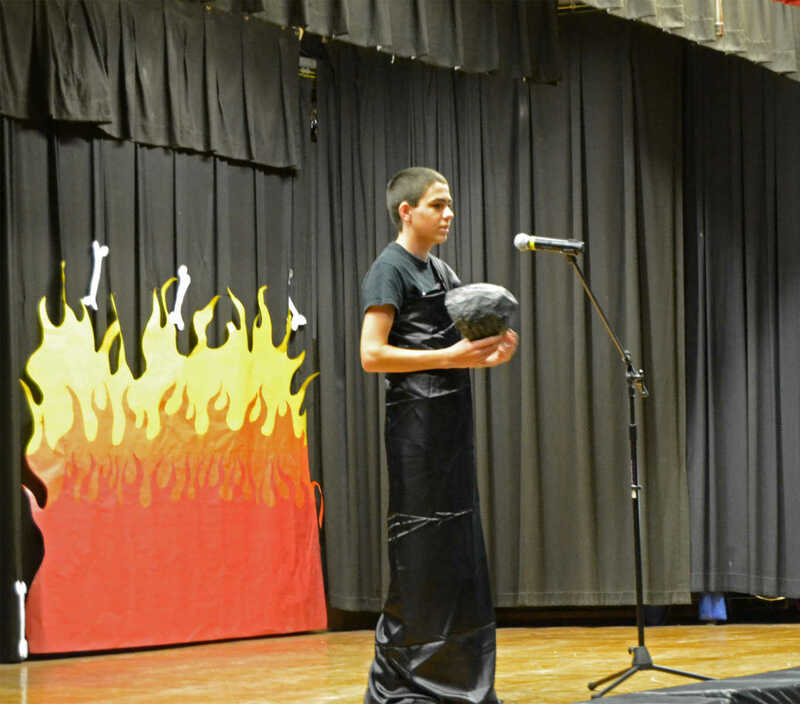 Seventh grader Matt Bogart played Hades during Sheldon Living History on Wednesday. 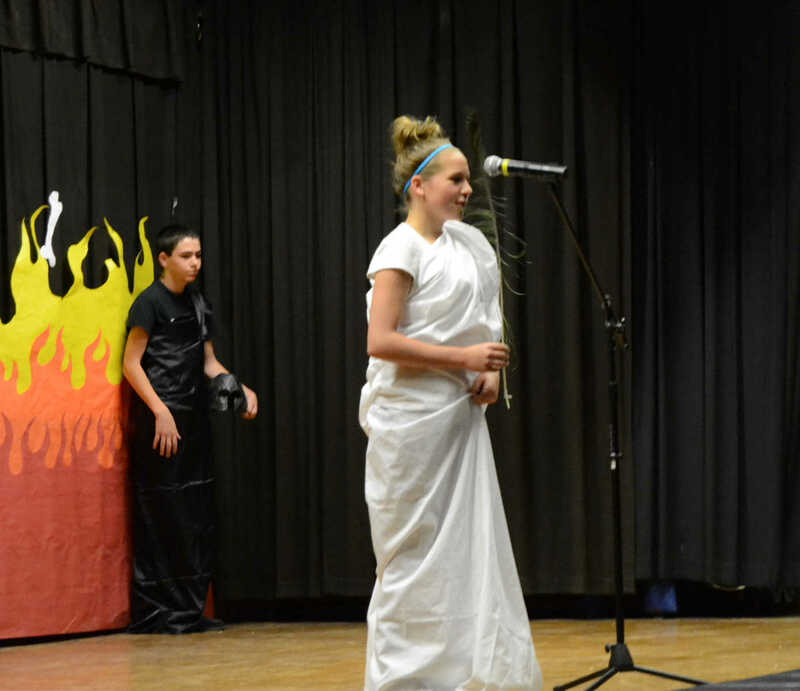 Seventh grader Kortney Farris played Hera during Sheldon Living History on Wednesday. 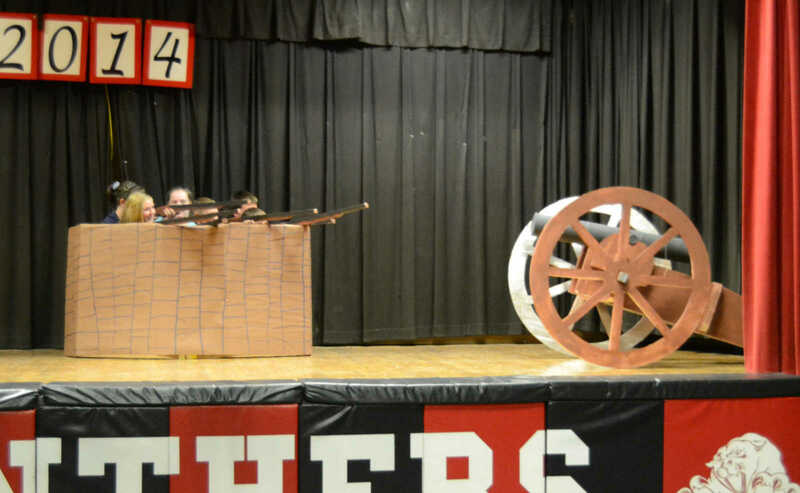 The North defend a fort in the Civil War overview during Sheldon Living History on Wednesday. 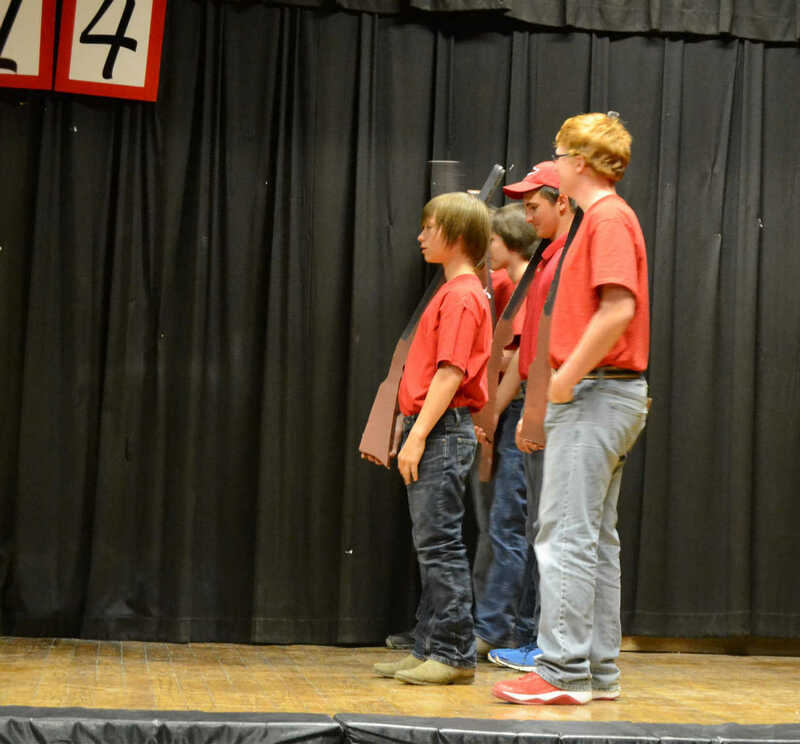 The South prepares to battle in the Civil War overview during Sheldon Living History on Wednesday. 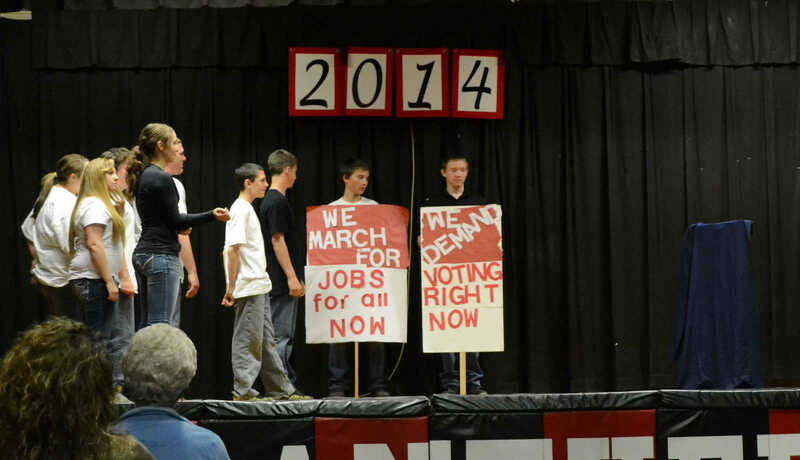 Ninth graders demonstrate the march on Washington in the civil rights overview on Wednesday.